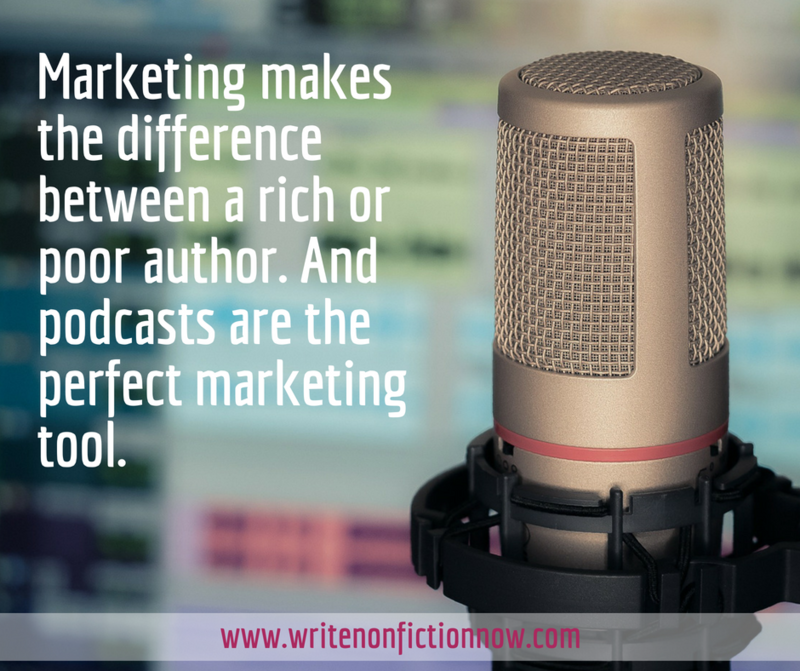 Use Podcasts to Help You Earn a Living as an Author - Write Nonfiction NOW! Books don’t make authors rich. Neither do book-related products and services—unless the writer consistently uses marketing strategies. 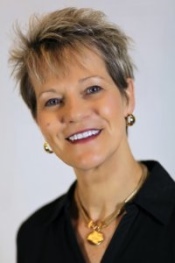 In today’s guest post, Kathleen Gage (@KathleenGage), an internationally recognized Internet marketing advisor, shares information on her favorite marketing tool—podcasts. In a perfect world, every author would make millions of dollars with each book they write. In the real world, most authors make little, if any, money from their published work. The majority earn less than a living wage. For many, this is very discouraging news. For others, it’s a reality check. But the sale of books is only one way for an author to generate revenues. Yet, it’s not unheard of for an author to make a very comfortable six-figure income from various revenue streams. 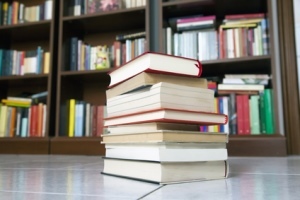 Monetary earnings tied to books can come from information products, speaking engagements, and coaching and consulting. 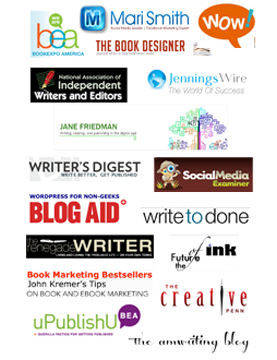 Even top-selling, million-dollar authors utilize different revenue streams to generate income. They do not rely solely on book sales. But there’s more to earning a living as a writer than creating revenue streams. And this is where even more authors fall down on the job. 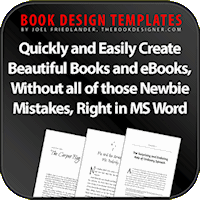 They make the big mistake of publshing books and even creating any number of products and services related to their books but not doing the necessary work to earn an income. They don’t marketing their work. The sale of books is only one way for an author to generate revenues. Revenues won’t generate themselves. It takes work and lots of it to create multiple streams of income. In addition to the creation of revenue opportunities, you have to consider the sales factor. To generate sales, marketing is a must. For this reason, authors are well-served to learn how to market their books, products, and services. To assure the best results, create a solid foundation including a good web presence, an email list, an enticing giveaway offer (ethical bribe or lead magnet), conversion funnels, and engagement campaigns. Once you have your foundation in place, be relentless about driving traffic to your site and gaining visibility. This type of marketing allows for long-term success as a writer. The most common ways to market books, as well as products and services, are social media, blogging, guest blogging, video marketing, radio and podcast appearances, speaking, and television appearances. But you don’t have to do all of them to earn a living from your written and published work. 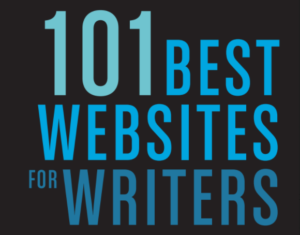 If you pick three methods and put effort into these avenues every day, you will be among the small percentage of authors who make a respectable living. However, I suggest you seriously consider making podcast appearances one of the avenues you choose. It takes work and lots of it to create multiple streams of income. One of my favorite ways to market my books, products, and services is through podcasting. When I promoted my book, Power Up for Profits: The Smart Woman’s Guide to Online Marketing, podcasting was one my “go-to” marketing strategies. During the official launch, I appeared on dozens of shows resulting in hundreds of thousands of people learning about me and my book. Did everyone who heard me on a show buy a book? Not at all, but many visited my website, downloaded a free offer, and came to an event I spoke at, which resulted in an investment in my consulting and coaching services. The financial result over the years from the one book and all the ancillary products and services has been hundreds of thousands of dollars. That’s from one book. I’ve written others and continue to do so. With my soon-to-be-released memoir, podcasting will be at the top of my list of marketing strategies. During the official launch, my goal is to schedule as many shows as possible. If you have no idea how to begin securing podcast appearances, here are a few tips. There are a few things to keep in mind when looking for shows to appear on. A targeted approach works much better than throwing mud on the wall and hoping something will stick. Be very clear on what you bring to the show. It’s not about how wonderful you are but how much the listeners will benefit. Be prepared when you approach the host. The more podcast shows you appear on, the more shows you appear on. Your goal should be to find shows that have listeners you want to reach. Rather than merely going for ears, go for targeted ears. If you are a nutrition expert, seek out shows specific to nutrition, health, fitness, and anything aligned with your message. You will waste your time, and the show host’s time, if you try to get on shows that have nothing to do with your expertise. It’s worth the extra effort to be very narrow in your approach. Be clear on your answer to the question “Why You?” Why should the host have you on the show? If you can’t answer this simple question, you’ll have a difficult time getting booked on a podcast. Your goal should be to find shows that have listeners you want to reach. Part of the prep for your podcast appearance has already been mentioned: clarity on why you should appear on the show. Additionally, it helps to have an expert one sheet, an intro, questions (for the host to ask you), a bio, and headshots. All of this streamlines the process as you seek out podcast opportunities. Think of the prep time as the foundation of a house under construction. If the foundation is not solid, you may be able to get the framework, walls, windows, and roof put up, but the structure will not last long. The more podcast shows you appear on, the more shows you appear on. What? Simply put, the more people hear you, the more opportunity you create to be heard. It’s not uncommon for hosts of shows to listen to other shows in their genre. If you appear on lots of shows, hosts will approach you, thereby increasing your opportunities. It takes time to use podcast shows effectively. Finding the right shows is often the best use of your time. Can you guarantee your success as an author? Absolutely! But you must be willing to avoid the #1 mistake most authors make: believing their books will miraculously sell themselves—or that one book (or even many books) will make them rich. Try using podcasting for your book launch. 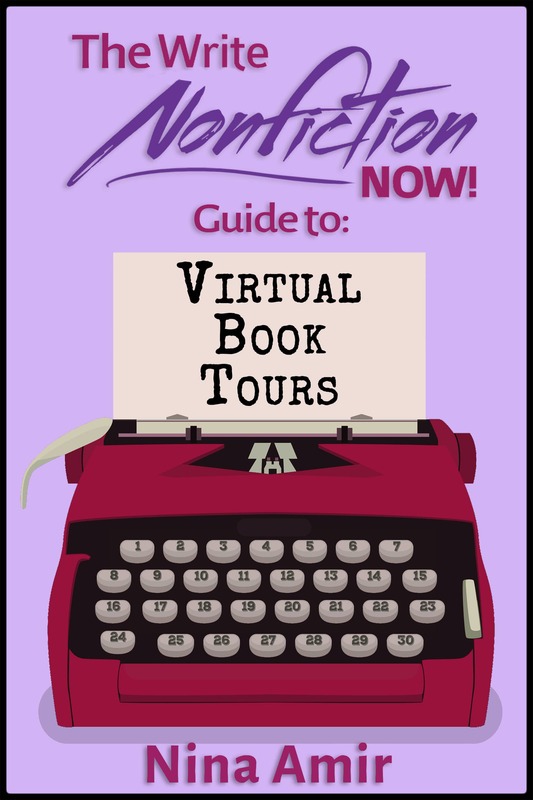 And begin appearing on shows now; don’t wait until your book is published. You can start building a built-in readership for your work by getting out there and being heard. Then you also will get read when you release your book. When you have various ways to generate revenue, put effort into your marketing, and consistently and tenaciously promote, you can be among the small percentage of highly profitable authors. What marketing method do you use to successfully increase your income as an author? Tell me in a comment below. 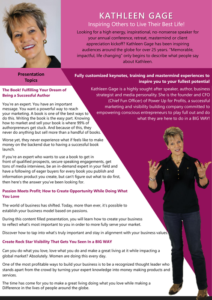 Kathleen Gage is the “no-nonsense, common sense” online marketing strategist, speaker, author, product creation specialist, and owner of Power Up For Profits. She helps entrepreneurs package their expertise into money making products and services. Her clients are driven by making a difference through their own unique voice. 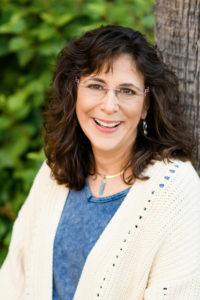 Although Gage is best known for her no-nonsense approach to life and business, when she’s not working with clients, creating information products, writing books or speaking on the platform, she can be found training for a marathon, walking her dogs, working in her many flower gardens, feeding her horses or playing a fierce game of cards. Kathleen’s memoir, The Gap in Between, is scheduled for release in early 2018. 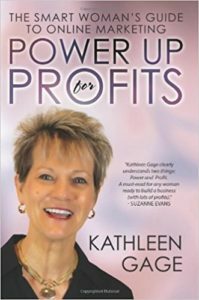 Visit her website at www.powerupforprofits.com.